hclab.’s “StreetView” received Vanguard Prize of ALGODeQ competition. 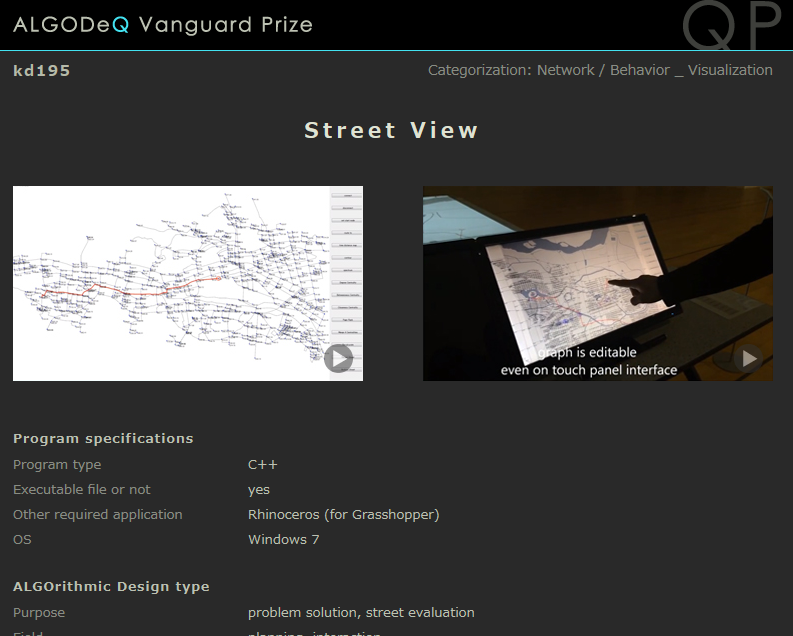 hclab.’s “StreetView” received Vanguard Prize of ALGOrithmic Design Quest competition. ... Read More | Share it now!